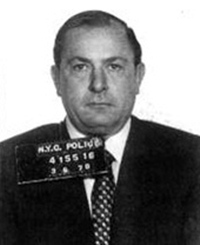 Frankie “The Gasket” Colletti acquired his nickname by killing off hundreds of so-called “Rats” for the Gervasio crime family over the past thirty years. Sitting in the courtroom under the glaring lights the man didn’t move. Not even when his own lawyer smacked the podium next to him did he bat an eye. This guy was cold inside. Frigid. You could just tell. And his looks were deceiving. He resembled someone’s old, Italian grandfather. The kind that made marinara sauce from scratch and invited all his friends and family over for dinner. The kind that sat in rocking chairs and maybe enjoyed the occasional cigar. If you saw him on the street you wouldn’t think anything of him. You might even flip him the bird in traffic for driving too slow or cut in front of him at the grocery store. Then you might be found a day later with your throat cut and a receipt from Freddie’s Grocery tacked to your forehead, or a gear shift rammed down your throat. He stared straight ahead as lawyers for both sides tossed evidence and insults at one another. Every once in awhile a small smile appeared on his lips. Usually it was during times when the prosecution showed gruesome images of the murders he had committed. And sometimes during witness testimony, his eyes glazed over as though he had left the courtroom mentally and returned to the scene of his bloody crimes. A quick death would have shown too much mercy and Frankie “The Gasket” Colletti was not a merciful man. Only he knew the running total of how many men and women he had killed over the years…how many “leaks” he had stopped. Ending up in court was inevitable, but it had taken years to bring down the man in the dark suit at the front of the room. The man who oozed indifference as photo after photo of mutilated bodies clicked by on the screen at the front of the courtroom. The man who smirked a little when a victim’s family member cried out in court. The man who only glanced at the jury once, but had conveyed such a message as to insure a mistrial. This was a man whose sole purpose was to kill and he was more than confident he would be doing it again soon.